Fig1. shows the attention to detail required in growing, controlling, and maintaining Arabidopsis thaliana. Fig2a. shows off an important caveat of growing plants, regular watering. Come rain or shine, plants always need to be watered. Many groups have tried to produce a frost resistant model plant in the past but few have succeeded. We are one of those few. With the enormous amount of work put in by our lab team this year we were able to grow a plant which was intrinsically frost resistant. 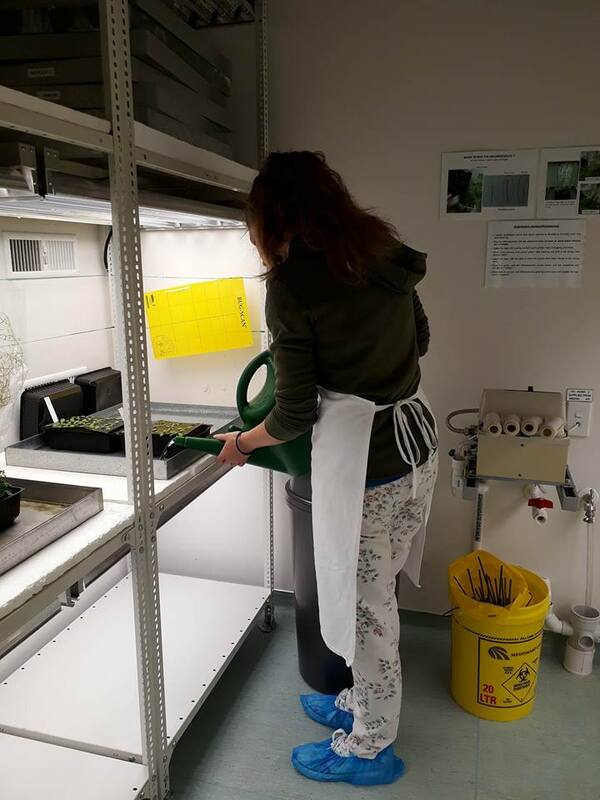 This started with receiving a synthesised fragment of DaIRIP4, putting this fragment into a gateway vector (DONOR221), ligating the insert into the destination plasmid (pBW2G7), transforming the plasmid into agrobacterium, then transforming the insert into arabidopsis thaliana. 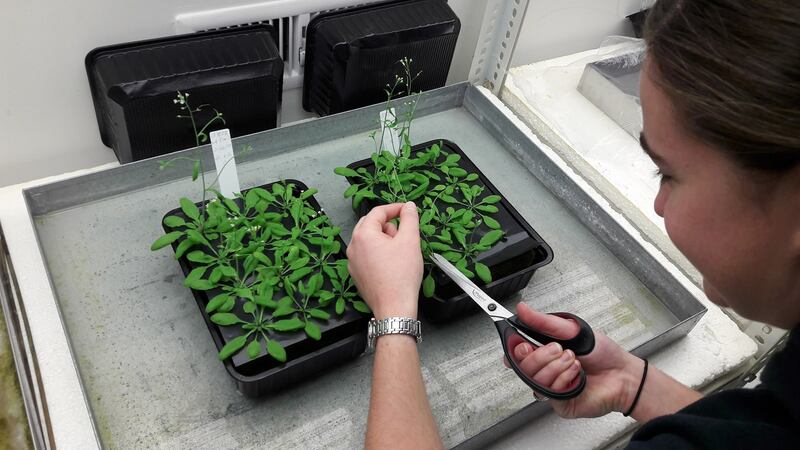 After screening with BASTA, the transgenic plants were identified. While we act like it was as easy as this list suggests, this process was fraught with hard work. It’s conclusion presents an enormous opportunity for future plant biology work. We now have a process by which we can reliably characterise other frost resistance methods. The next stage is to test promoters to see if we can localise these frost resistance mechanisms to the region(s) they would be most useful, the buds and shoots, and away from areas more ethically compromising such as the fruit.